Iran urged U.S. President Donald Trump not to use the nation’s Strategic Petroleum Reserve to push prices lower, and instead drop useless sanctions on Iran’s crude exports. Trump is trying to choke off Iran’s oil exports after quitting a nuclear deal with the country, resulting into the fact that the Trump administration is actively considering tapping into the nation’s emergency oil inventories as political pressure grows before congressional elections in November. For now, Trump is pressing Saudi Arabia and some other OPEC members to fill in any supply gap that will arise when U.S. sanctions curtail Iranian crude exports. Iran ships about 2.5 million barrels a day to China and Europe. 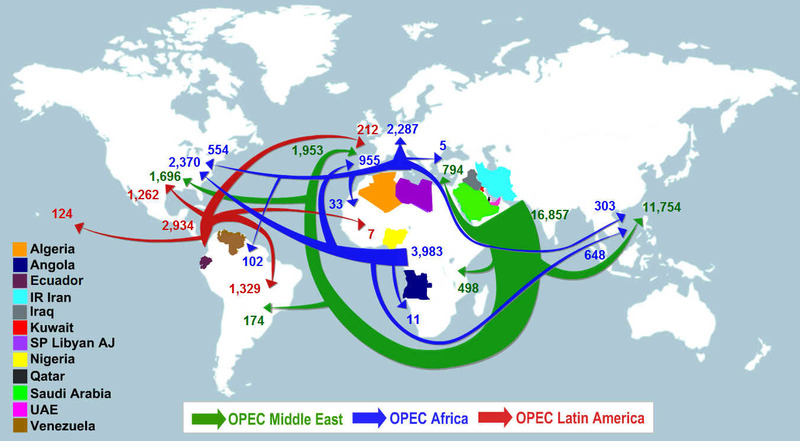 The global oil demand is set @ nearly 100 million barrels per day. U.S. government puppets visited Saudi Arabia recently to ensure that global markets remain adequately supplied after the deadline on November 4, 2018. Producers such as Saudi Arabia, the United Arab Emirates and Russia have announced their intention to increase supply. This was a serious miscalculation, and now the USA has fallen into their trap, so prices will go up, leading to possible economic recessions Western countries. The effects of the Saudi attempt to crash the economies of oil producing countries in 2014, is now back-firing on the USA. The Western oil giants, that wanted to grab and confiscate foreign oil reserves after setting their economies on fire, can now lick their own wounds. Especially the Russian gas flows into Europe, are keeping the EU economies alive. After touching a 40-month high just two weeks ago, oil has dropped by more than 10% as global trade anxiety combined with a Saudi offer of added crude for Asia to boost market volatility. The latest oil price decline comes as Saudi Arabia is offering more crude cargo’s to Asian customers. The Saudi Kingdom and the USA pump about 20% of the total global crude. West Texas Intermediate crude for August delivery dropped $2.95 to settle at $68.06 a barrel on the New York Mercantile Exchange, the lowest level in three weeks. Brent for September settlement dropped $3.49 to end the session at $71.84 on the London-based ICE Futures Europe Exchange. Bloomberg.com / ABC Flash Point Oil News 2018.